Did you know that a dream about a blanket can either be a warning to guard your investments or a sign that you can expect financial gain�depending on the context? Or that a dream about lightening generally precedes good luck? From the time Jacob dreamt of a ladder to heaven, through the era of Freud and Jung, right up to the findings of the latest sleep research, the wise have believed that dreams hold important secrets. 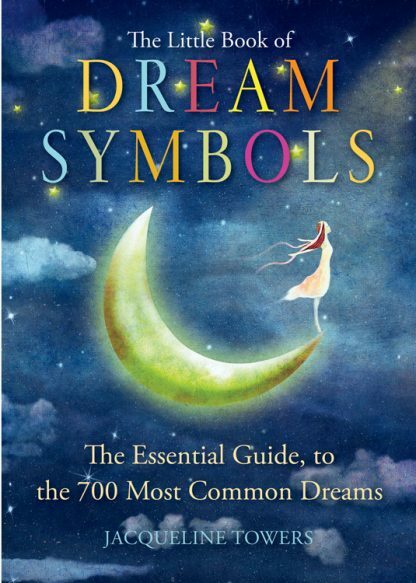 In this A�Z dictionary of dream symbols, a psychic counselor applies both traditional and scientific approaches to provide a handy key to what your dreams are saying. From anchor to zebra, all dream symbols are analyzed, showing how they bring us messages, reveal our hidden wishes and mental states, and even foretell our future. Readers everywhere will use this little book to learn what their subconscious is trying to communicate. Cancer: A long life, if you don�t overdo it! This little dictionary is an ideal reference for your nightstand. When you wake from sleep, quickly refer to this book and discover the meaning of your dreams.